It may be the most sophisticated phone scam yet. Even tech experts, and people with advanced degrees, are falling for it. One woman wants to share her story so you don't become a victim too. Sarah Raab is a professional working mom. She has even warned her older relatives, in the past, about fake IRS and Social Security phone calls. But even that didn't prevent her from falling for a slick phone scam driving home from work the other day. "I got a phone call from my bank, and I knew it was my bank cause I recognized their phone number," she said. "Welcome to our 24-hour security department," the caller said. A nice woman then came on the phone, Raab says, with some bad news. "She needed some information because she wondered if I was in Florida trying to use my debit card at this time. And I said no I'm not." 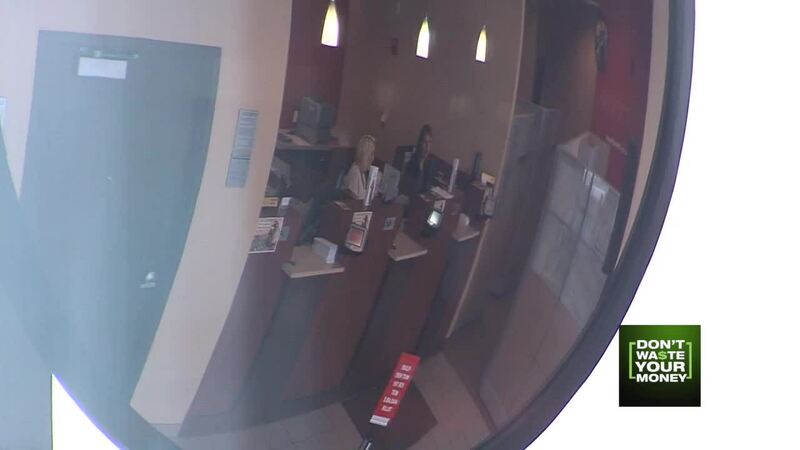 The caller said someone else was using her debit card to withdraw money. "I'm panicking and say, 'What should I do?' She said, 'We need to shut your bank account and freeze all your accounts,''" Raab said. Raab says the last thing she wanted was someone draining her bank account, so she did what she thought was the logical thing, and confirmed her identity to the caller." "She said all the right things, she got my information from me, she asked me for my password." As soon as the woman received Raab's account information and login confirmation, the caller instantly hung up. So Raab called her bank back, and got the bad news. "They had no record at all," she said. "It did not appear they called me at all." But someone had already transferred out $500, and the (legitimate) security agent says they were attempting to transfer more. The tech site Krebs on Security says voice phishing scams are getting more clever, thanks to what's known as Caller ID "spoofing." Scammers are now able to post your bank's name, the IRS's phone number, even the White House's number on your phone when they call. "I never in a million years thought this would happen to me," she said. But even well educated, scam savvy people like Sara Raab are falling for this one. So Krebs says never give your banking info to a caller, even if it appears its your bank on the line. Instead, hang up and call them back, at the customer service number you look up separately (not the number they are calling from). That way you stay safe, and you don't waste your money.